Silicon Valley’s booming technology sector is creating plenty of high-paying jobs, but the region is nowhere close to keeping up when it comes to creating new housing units. Citing a new report from the Silicon Valley Competitiveness and Innovation Project, The Mercury News reports that Santa Clara, San Mateo, and San Francisco counties saw the number of jobs jump by 29 percent between 2010 and 2016. During that period, the total number of housing units grew by just 4 percent, while the region’s population increased by 8 percent. And it does not appear that the employment-to-housing imbalance will improve in the near future without a significant uptick in construction. 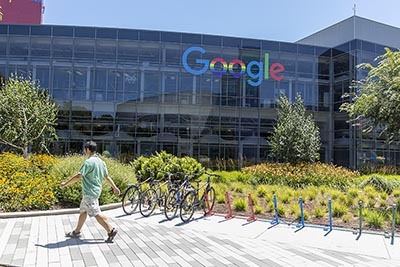 Over the past months, a number of Silicon Valley heavyweights — including Google and Facebook — have announced major expansion plans in the region. The explosive job growth is also taking a toll on local freeways. Between 2010 and 2016, Silicon Valley’s commute time increased by nearly 19 percent, and the average worker now spends more than 70 minutes on the road each day. Prospective homebuyers who are still sitting on the fence would do well to note that mortgage rates hit a near four-year high in the last full week of February and are likely to continue climbing as 2018 progresses. The latest numbers from Freddie Mac say that 30-year, fixed-rate mortgages rose to 4.40 percent for the week ended Feb. 22, the seventh straight week of increases and the highest since April 2014. Fifteen-year, fixed-rate mortgages followed suit, rising on both a weekly and annual basis to 3.85 percent. As CNN Money reports, the Fed is expected to raise interest rates three times in 2018. Home shoppers hoping to take advantage of the aforementioned still-low mortgage rates might not want to spend much more time amassing a down payment. That’s one tip from realtor.com, which explains that saving a 20 percent down payment could be a mistake in today’s environment, since the longer a potential buyer waits, the higher both mortgage rates and home prices will rise, further reducing affordability. Buyers should also get preapproved for a loan rather than just prequalified; while the two processes might sound similar, the former is much more detailed and increases the chances that the seller will accept an offer. Other mortgage-related blunders to avoid: meeting with only one lender (realtor.com suggests three), changing jobs during the process of obtaining a mortgage, and opening new lines of credit while home shopping. The Bay Area’s astronomical cost of living is causing residents to flee in such large numbers that it has resulted in a shortage of moving trucks, pushing up prices for outbound vehicles in a big way. In a blog post from public-policy think tank American Enterprise Institute, author Mark J. Perry says that the number of people leaving the Bay Area has hit its highest level in a decade, and the region is currently the No. 1 U.S. place for out-migration. The reason for the exodus is of course the region’s housing costs, which are straining even well-compensated tech workers. In San Jose, one U-Haul franchise is having a difficult time getting its trucks back due to the number of residents making one-way moves. For instance, renting a one-way moving truck from San Jose to Las Vegas — one of the U.S. cities with the highest number of inbound residents — costs $1,990, about 16 times higher than the $121 rental in the opposite direction. Renting a truck in San Jose to make the 670-mile drive to Portland, Oregon costs nearly $3,000, while moving to Silicon Valley from Portland costs right around $400.